Dine throughout the day at Green House. 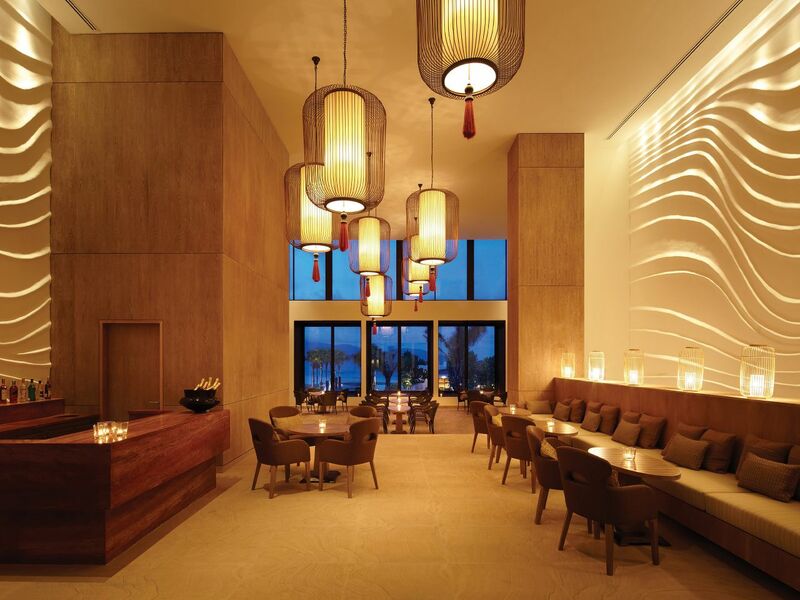 Enjoy authentic local Vietnamese dishes or Western comfort food at Pool House. 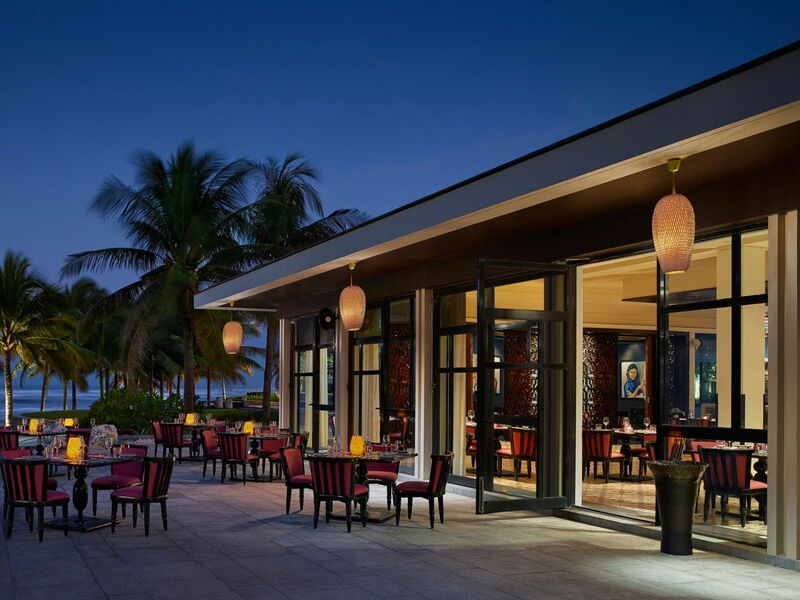 Savor seafood and grilled cuisine on the beach at Beach House. 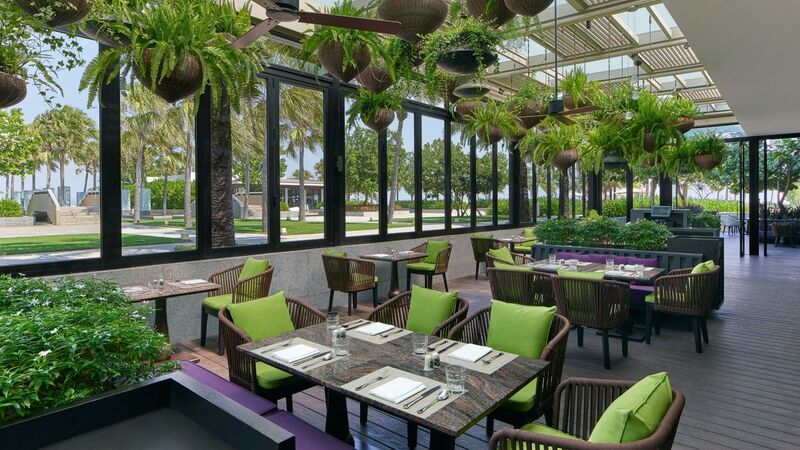 Green House, the resort’s all-day dining restaurant, whose main fare is Mediterranean cuisine, is based on the idea that the kitchen is the centre of the home; a place where family and friends gather. The dining room offers a comfortable and inviting atmosphere, with floor-to-ceiling windows that let in natural light, locally-inspired wood furnishings, and stone from the iconic Marble Mountain. This family-friendly restaurant features a kids corner, a kids menu, and cutlery for kids are also available. Saturday Mediterranean Buffet Dinner: 5:30 PM - 10:00PM for VND 999,000 net per person including wine, beer, soft drinks and mineral water. Half price for kids from 6-12 years old and free for kids under 6 years old. Vietnamese 4-Course Set Menu: For only VND 490,000++ per person, guests can enjoy authentic Vietnamese cuisines prepared delicately by our passionate chefs. Kid's Pizza Class: 3:00 PM - 4:00 PM on Tuesday, Thursday, Saturday and Sunday for VND 150,000++ per kid, including pizza & soft drinks. Spring Roll Class: 3:00 PM - 4:00 PM on Monday, Wednesday and Friday for VND 250,000 net per person. Mediterranean Easter Buffet Dinner: On Saturday, 20 April, Green House celebrates Easter with a gourmet Buffet Dinner priced at VND 1,488,000 net per person, including special Easter cocktail, free-flowing wine, local beer and soft drinks. Adjacent to the main resort pool at Hyatt Regency Danang, Pool House offers breathtaking, uninterrupted views of Non Nuoc Beach. The menu includes authentic local Vietnamese dishes such as Mì Quảng (turmeric rice noodles), Cao lầu (noodles with pork and greens), and Hội An Chicken Rice, as well as Western comfort food and delicious desserts. Kids menu and cutlery for kids are available at this restaurant. Tuesday BBQ Buffet Dinner: 6:30 PM - 10:00 PM for VND 999,000 net per person, including wine, beer, soft drinks and water, half price for kids from 6-12 years old, and free for kids under 6 years old. Special Easter Seafood BBQ Dinner: On Sunday, 21 April, spend time with your loved ones on Easter with the Special Easter Seafood BBQ Dinner priced at VND 1,488,000 net inclusive of tropical cocktail, free-flow selected wine, local beer, soft drink and water. Beer & Chicken Combo: Pool House Restaurant offers its daily Beer and Chicken Combo from 10:00 AM - 6:00 PM. The Combo includes 4 + 1 cans of beer and one portion of our signature crispy chicken, priced at VND 500,000++. Burger Promotion: Tasty Burgers are waiting for you with prices starting from VND 280,000++ inclusive of 1 soft drink or local beer. 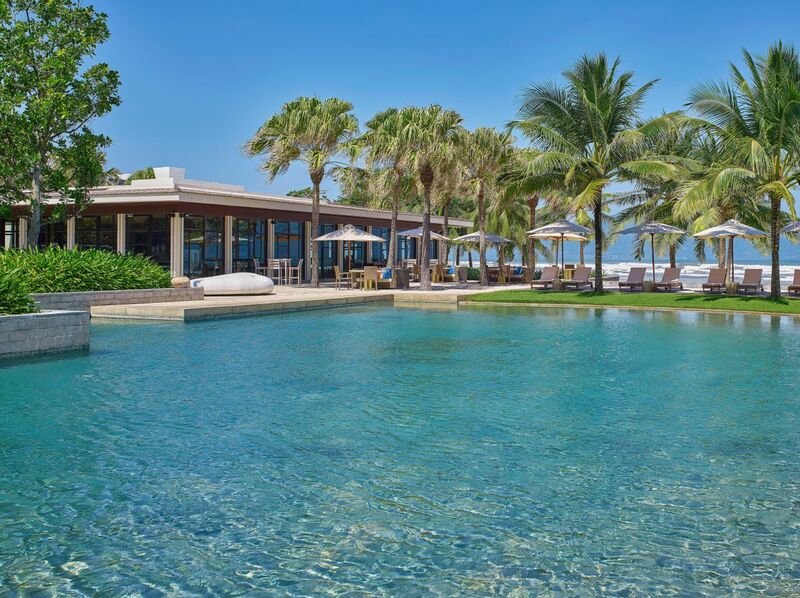 Beach House is idyllically located on the resort's beach with uninterrupted views of the sea and the Son Tra Peninsula. With an open design and rich décor, it’s the perfect place to sample the best seafood Vietnam has to offer and Western favorites from the grill. Friday BBQ Buffet Dinner: from 6:30 PM to 10:00 PM for VND 1,099,000 net per person, including wine, beer, soft drinks and mineral water, half price for kids from 6-12 years old and free for kids under 6 years old. 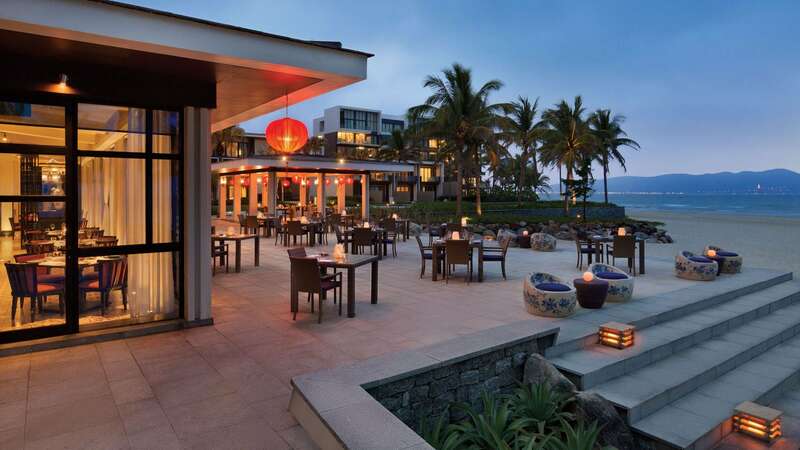 Family Style Dining at Beach House: The price for a Vietnamese set dinner ranges from VND 780,000 net to VND 950,000 net per person and for a BBQ set dinner VND 1,360,000 net per person. Surf and Turf menu: Beach House offers a “Surf and Turf” menu every Monday, Tuesday and Wednesday featuring three tasty dishes at very special prices. Each dish can be shared by two people, and the prices include two glasses of white or red wine per dish. Special of the Day: On Thursday, Saturday and Sunday, Beach House Restaurant offers an extravagant "Special of the Day” promotion, featuring gourmet dishes prepared by our Beach House Chef Tran, priced at VND 1,199,000 net per person. Special Easter Seafood BBQ Dinner: On Friday, 19 April, the restaurant celebrates Easter with a Special Easter Seafood BBQ Dinner priced at 1,488,000 net per person inclusive of 1 glass of Prosecco, free-flow selected wine, local beer, soft drink and water. Baguette is conveniently located within the retail area of the resort, and is perfect for a quick breakfast or a light lunch. 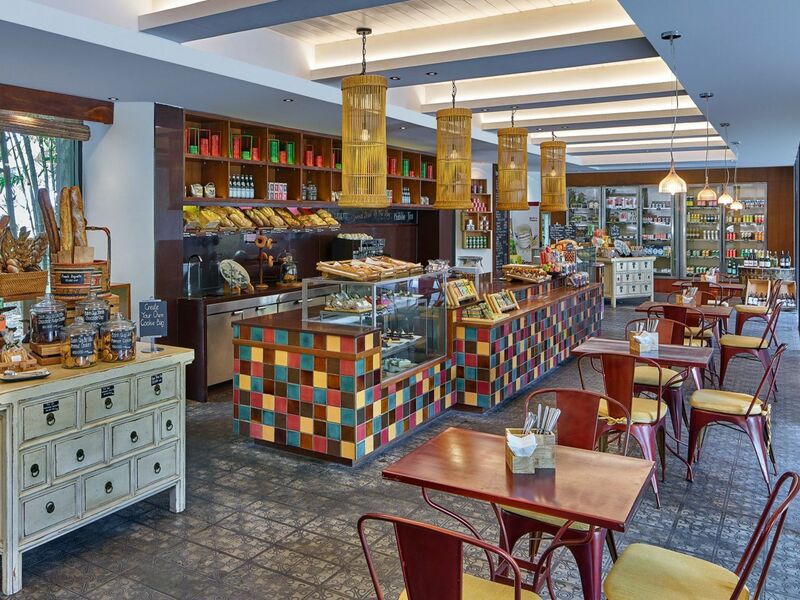 This European-style eatery also functions as a local convenience store for villa and residence owners, stocking traditional Vietnamese grocery products and hard-to-find Western items for expats and tourists. Tea and Cake Combo at Baguette: Available daily from 3:00 PM-5:00 PM and priced at only VND 130,000 net per set is our afternoon tea set, from which you can choose a cup of tea or coffee along with our selection of home-made cakes. Chocolate Easter Eggs Promotion: Celebrate with all the classics, Easter sweet chocolate eggs and bunnies throughout April, prices starting at VND 25,000 net. Beverages and snacks are available throughout the day at Terrasse, located on the lobby level near our reception area. Guests can enjoy billiards and other games, or watch sports, movies, or news programmes. Live music performance on Wednesdays, Fridays from 7:30 PM-10:00 PM and on Saturdays from 7:30 PM - 9:30 PM. 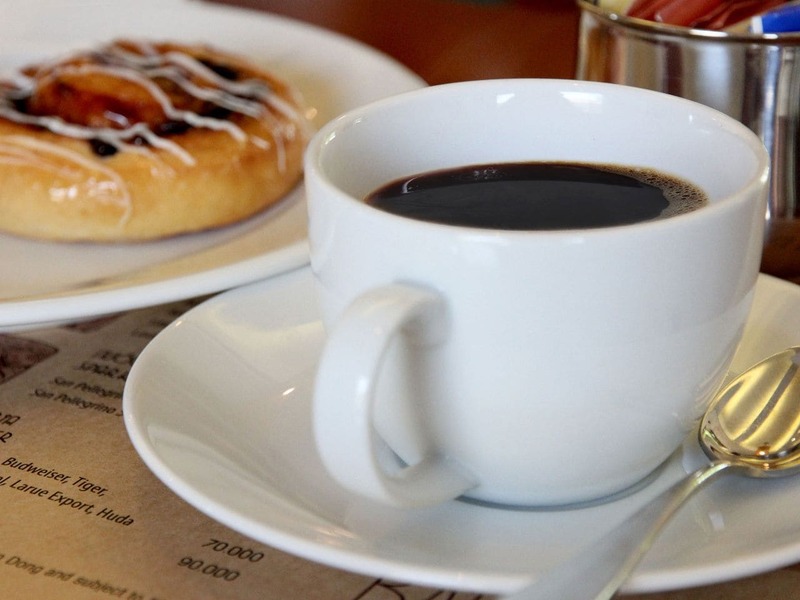 Room Service delivery of selections from breakfast and all-day dining menus is always available.